Darjeeling may be the most famous Himalayan hill station of North Bengal, but there are other marvellous tourist destinations in close proximity. 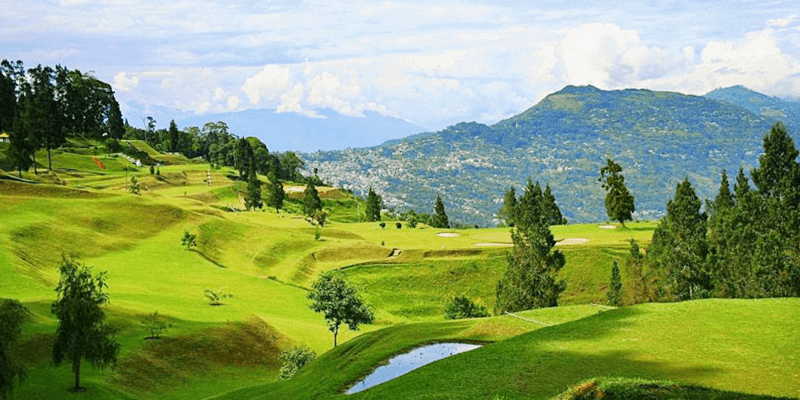 Situated on the other side of Teesta Valley – Kalimpong, Lava and Lolegaon are a must visit during your trip to the hills of North Bengal, next time. 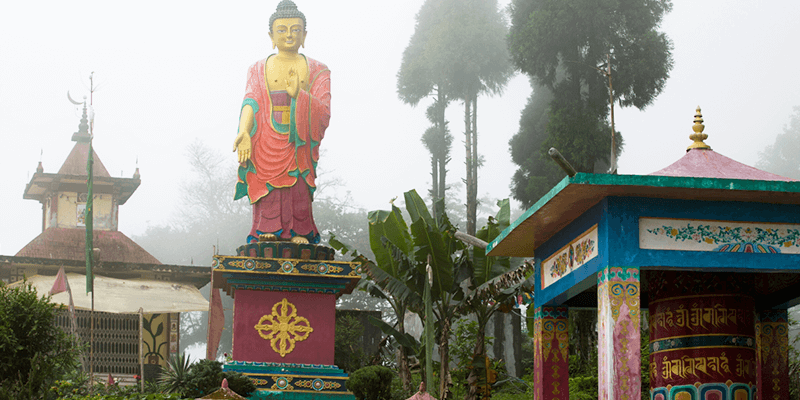 These three hill stations are nestled close to each other, and are ideal road trip destinations keeping Kalimpong as your base. Onward Journey: Shared jeeps, taxis and private cars to Kalimpong are readily available from the station between 7 AM – 3 PM. Kalimpong is 73 KM away from the railway station and it approximately takes 2.5 hours to complete the journey. The shared jeeps and cars would take 10 passengers at a time and costs around Rs. 200 per seat. Situated at a height of 1250 M, this hill station was used by the British to escape from the intense summer heat of the plains. It was also a popular trading post, being close to Tibet and the ancient silk route. 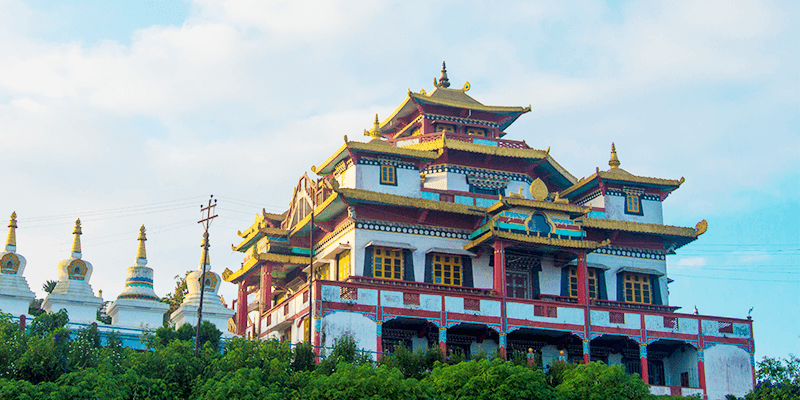 Today, the tourists visit Kalimpong to enjoy its pleasant weather, beautiful monasteries and its famous flower nurseries. 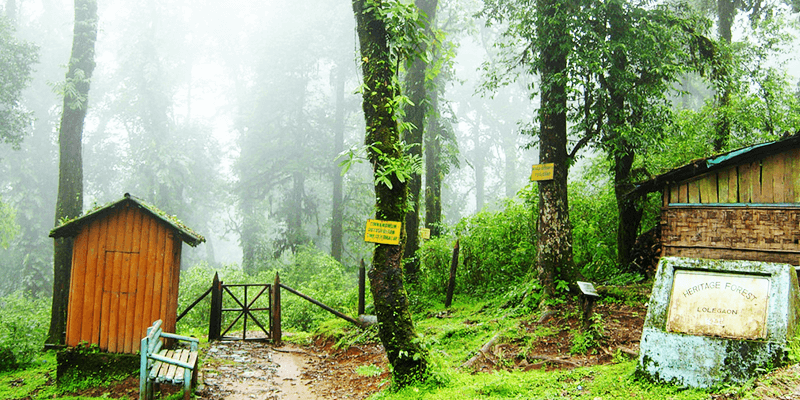 Deolo: One of the two hills between which Kalimpong stands, Deolo is a magnificent view point. It offers a great views of the entire valley below as well as the Teesta River. On a clear day, the snow-clad mountains of West Sikkim as well as the Teesta River can be enjoyed from Deolo. There is a beautiful park situated atop this mountain, where exotic flowers of various kinds can be seen. For the adventurers, hand glide rides are available from the view point. Durpin: This is the second hill, between which Kalimpong stands today. Though Durpin is largely popular for being a fabulous view point, it also has a lot of other interesting landmarks. Firstly, there is the beautiful Army Golf Course, then there is the Zang Dhok Pairi Phodang monastery situated atop this hill. On a clear day, the viewpoint offers great views of Tiger Hill, Kanchenjunga as well as the Nathula Pass. Zang Dhok Pairi Phodang Monastery: Also known as the Durpin Monastery, this is the holy place where Dalai Lama was consecrated in 1976. The monastery houses rare Buddhist manuscripts brought by the monks who fled Tibet when it was annexed by China. Nurseries of Kalimpong: Two nurseries in Kalimpong, have now become a tourist attraction due to their vast collection of plants. Whether you are botanist or not, if you are in Kalimpong, make it a point to check out the Pineview and Shaktikunj nurseries. While Pineview is famous for its vast cactus collection, Shaktikunj on the other hand is well known for beautiful orchid varieties. 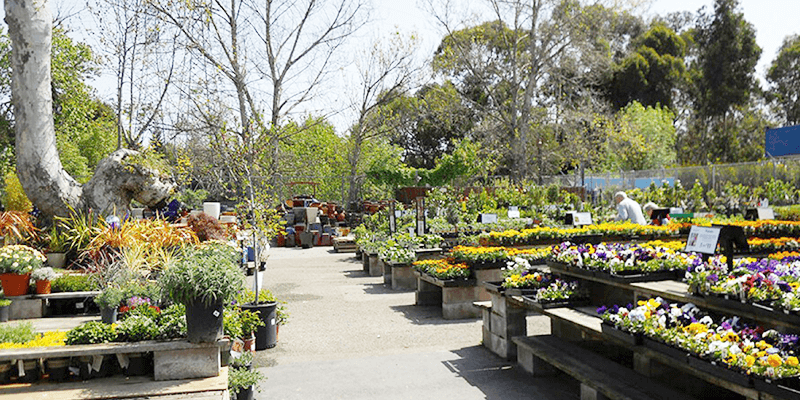 The nurseries are filled with an array of colors, especially during the winters. Don’t forget to take home some cactus or orchid saplings from the nurseries. Shopping in Kalimpong: While in the city definitely buy some cheese. The Kalimpong Cheddar cheese is famous worldwide. If you are an adventurous foodie, try “Churpi” a hard candy made from Yak’s milk. Situated at a height of 7061 M, which is by the way higher than Darjeeling, it can be quite chilly in Lava even during the hottest summer days! It is a 21 KM drive from Kalimpong to this little hamlet. The road is beautifully decorated by a long lining of tall Pine trees and the sun plays hide and seek with you as you rise higher. Board From: Shared jeeps or local taxis are available from Kalimpong city centre, which would take you to Lava. Travel Costs: Rs. 75-175 for shared jeeps. Tip: There are some great view points along the road, where you can see the whole city below. It is worth stopping the car (even the shared jeeps can make quick stops) and taking a few snaps! Neora Valley National Park: It is one of the richest biological zones in Eastern India. Situated at the entry point of Lava, the national park has an impressive array of flora and fauna. 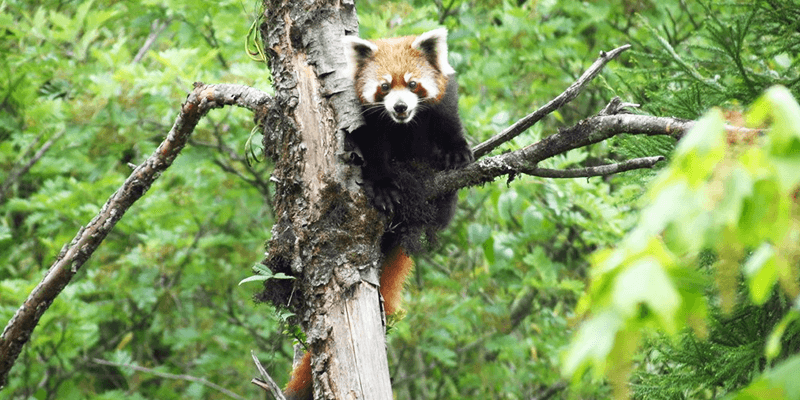 It is known to have a rich population of elephants and red pandas. The national park is also known as a Birder’s Paradise, as some of the rare birds can be spotted here during the winter months. Lava Monastery (Jamgyong Kongtrul Monastery): Situated near the local market, this beautiful monastery stands as a specimen of Tibetan architecture. Named after one of the prominent Tibetan Buddhist monks of the 19th century, the main attraction within the monastery is the golden statue of Lord Buddha (seen in a meditating posture). The walls of this monastery are decorated with multi-coloured murals and frescoes. The backside of this monastery offers a great view of the surroundings, with the Lava village below and mountains as backdrop. Rishop: This scenic hamlet, only 12 KM away from Lava, is situated at an even higher altitude than Lava. The natural beauty of this village brings in lots of tourists each year. 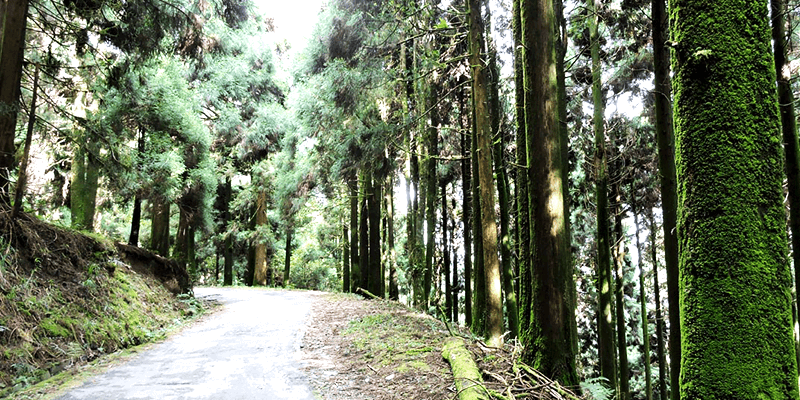 A walk through the nearby pine, birch, fir and orchid forests is a refreshing experience. 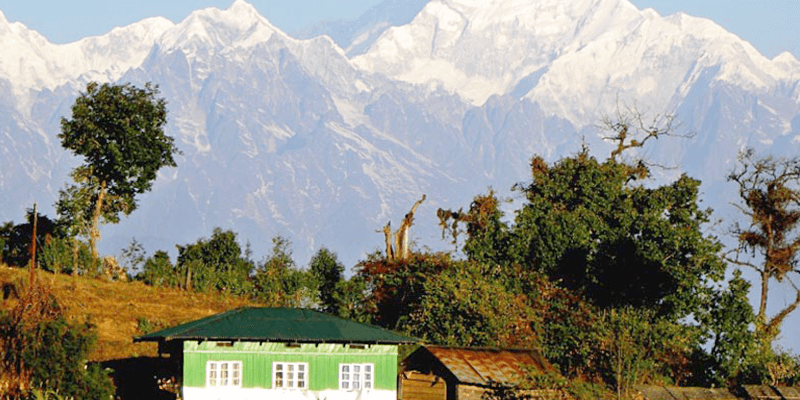 Apart from this one can enjoy 360-degree views of Kanchenjungha mountain peaks from the Tiffindara Point. Changey Falls: A breathtaking view waits for you at this waterfall, situated midway between Lava and Rishop. 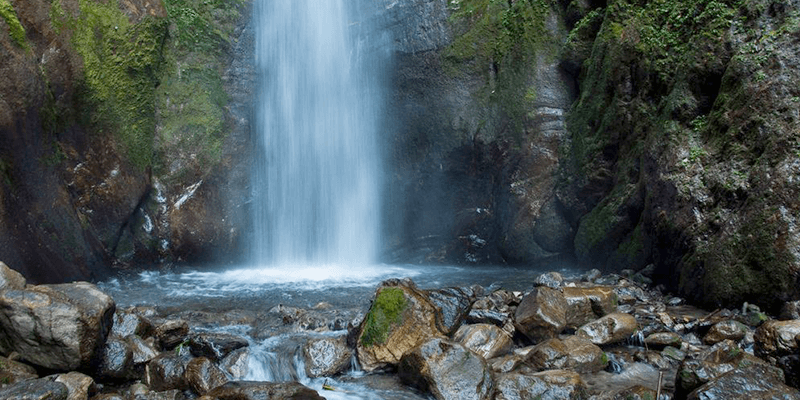 The surrounding areas of this waterfall are extremely quiet, which contrasts ideally with the sound of this huge waterfall. Changey’s backdrop is formed by the Kanchenjunga. Many amazing birds can be spotted on the shores of the waterfall. Another small hamlet in the Kalimpong district, Lolegaon is situated at a height of 1675 M. The village is surrounded by dhupi, cypress and pine forests. There are many marvellous view points to witness the Kanchenjunga range. While at Lolegaon, one can also view the orchid, Rhododendron and other flowering plantations. Board From: Shared jeeps or local taxis are available from Kalimpong city centre, which would take you to Lolegaon. Travel Costs: Rs. 150-250 for shared jeeps. 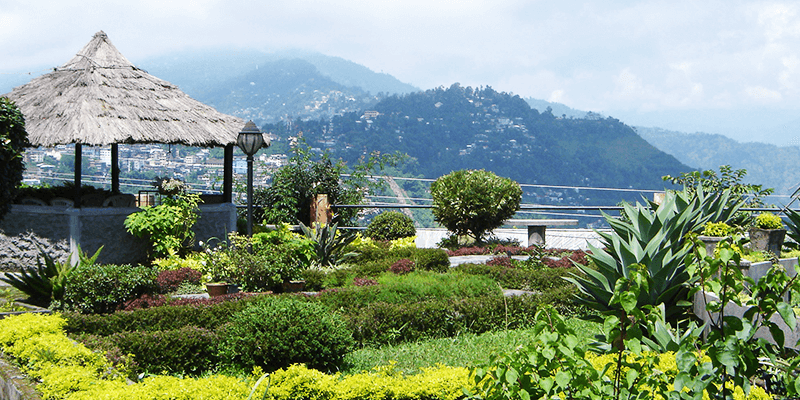 Eco Park: This park is situated in the center of Lolegaon, and has hills as its backdrop. Filled with flower trees all around, there are ample sitting areas, benches and pathways to spend time at the park. This is a good place to just sit and enjoy the mists flow past you! 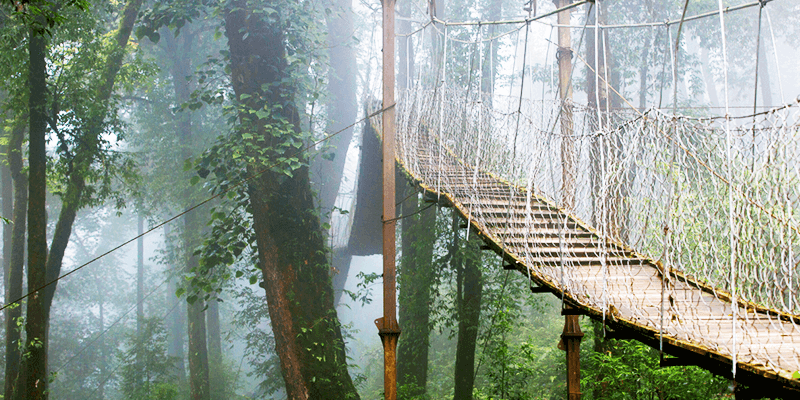 Canopy Walk: It is a 180 M long, hanging wooden tree-top bridge that takes you through dense fern and pine forests. As you walk along this bridge, you will find yourself rising in height and moving from one tall tree to the next. The bridge may swing when you move, but there are safe wired fences on both sides to hold on to. There are stairs to climb and get down from the bridge. Most tourists, get down at the other side and venture into denser forests before making their way back below the bridge (as one-side only trip is allowed on the bridge). 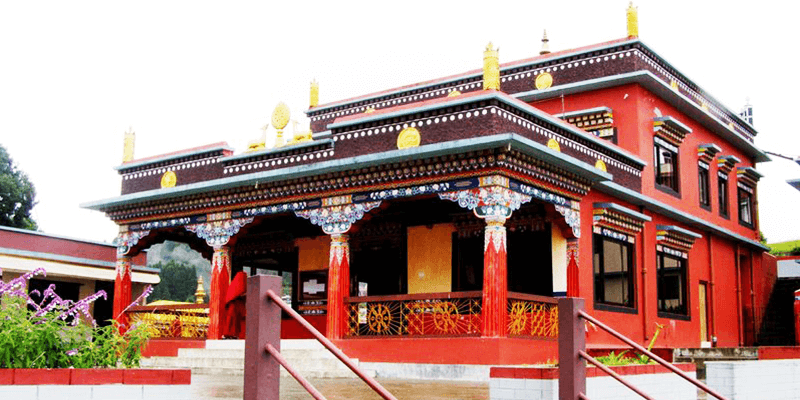 Lolegaon Monastery: Close to the Canopy Walk is this Tibetan Buddhist monastery. Though small in stature, the monastery is a marvellous architectural specimen. There is a decorated garden in front of the monastery, where there is also a giant Buddha statue. Please update all new features in future.